After losing Game 2 of their first-round series against the Los Angeles Clippers in tragic fashion, the Golden State Warriors have been handed another devastating blow. 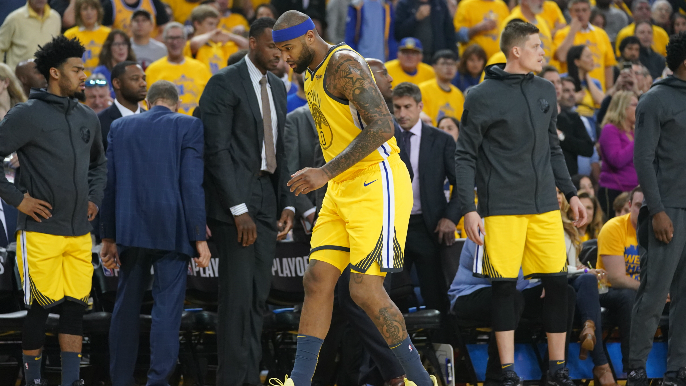 According to NBA insider Shams Charania, Warriors star Demarcus Cousins has reportedly been diagnosed with a torn left quad following an MRI Tuesday morning. Charania went on to report that while Cousins will probably out for the remainder of the season, the team will closely monitor how he responds to rehab in the coming weeks, as his injury will not require surgery. Cousins, who had nine points, nine rebounds, and four assists in his first playoff game over the weekend, collapsed on the court early in Monday’s game as he was diving for a loose ball.